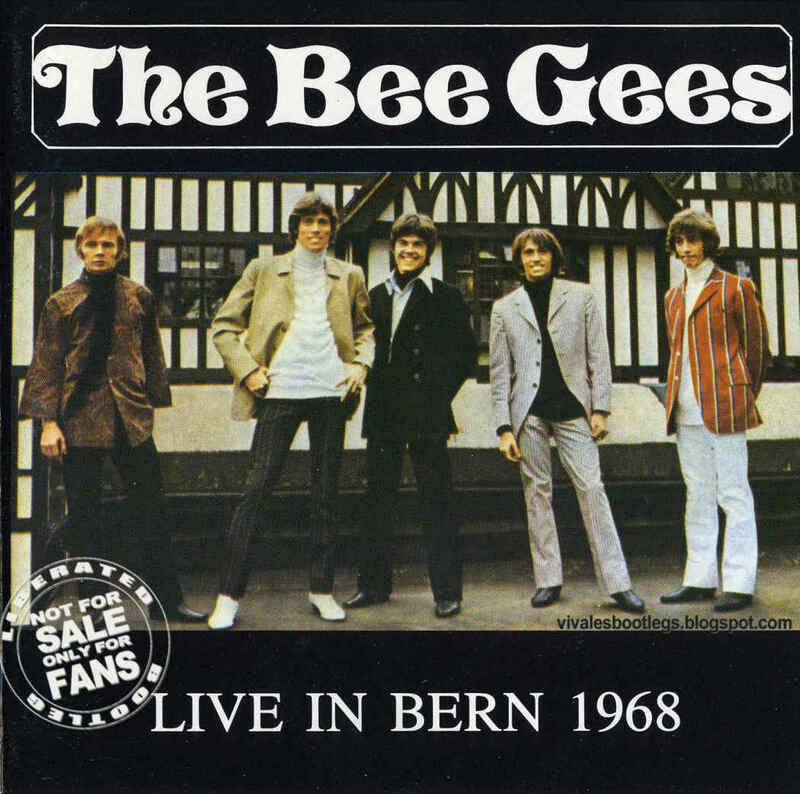 Recorded Live in Bern, Switzerland - Unknown date, 1968. Soundboard Recording (or Ex AUD?) :: Bootleg Silver CD :: CBR 320 kbps. Files: 12. :: Size: 99,41 MB (mp3) / 203 MB (flac). Personnel: Barry Gibb - vocals, guitar :: Robin Gibb - vocals - bass :: Maurice Gibb - vocals, organ :: Vince Melouney - lead guitar :: Colin Petersen - drums :: + orchestra - Bill Shepherd conductor . 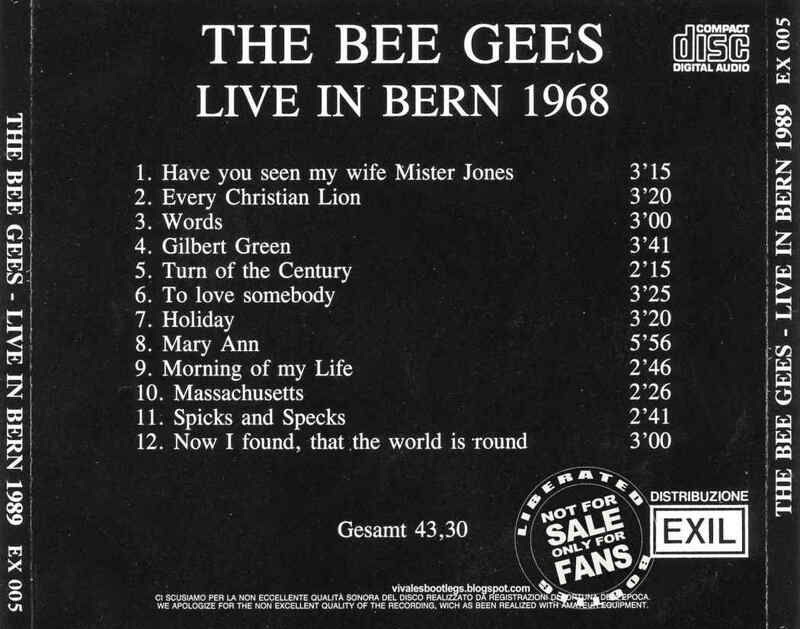 Notes: "Gilbert Green" is an unreleased song - plus there's a cool cover of Cream's "Strange Brew" during the medley. :: Bee Gees - Live In Bern 1968 [Exil 1CD] 12 tracks with orchestra!.<-(Info taken from original nfo file).